Damian Ineichen says he loves to capture adventures with friends, and for him film is the best way to do that. 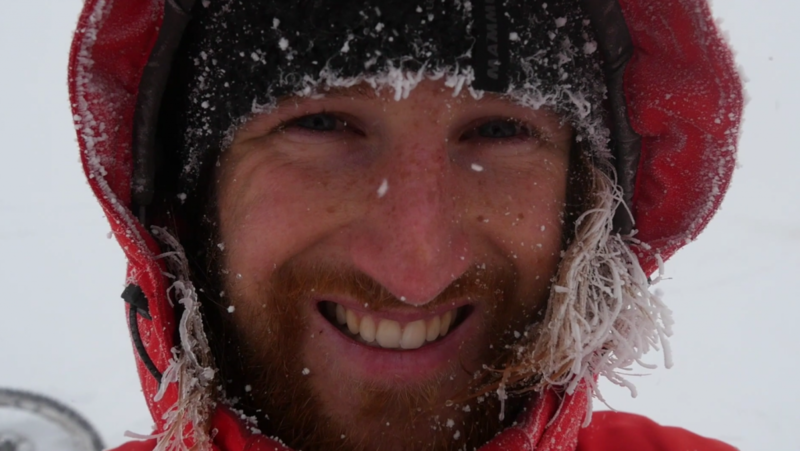 Adventure comes easily to this Swiss filmmaker – he can hop on a train from central Switzerland and be in the Alps by evening time. “Public transport is very good in Switzerland and in most cases you can take your bike with you. For us, it’s the perfect way to get access to all the trails in the Alps.” He and his fellow adventurers like to bring little more than their sleeping bags. They spend the night outside on top of the mountain, then ride down an epic trail the next day. The only problem, Damian says, is that sleeping in their bags outside is so cozy that they often sleep late and have to hurry back to ensure they can catch the train on time. From the early days until now, Damian has been hard at work creating gorgeous films that reflect his adventures. And we can’t wait to see what Damian shares with us next. This entry was posted in Filmmaker Spotlight and tagged best bike rides, bicycle movies, bike adventure, bike event oregon, bike event portland, bike movie, bike movies, bike portland, bike race, bike racing, bikepacking, cycle oregon, cycle portland, fat biking, film fest, film festival, gravel grinding, oregon bike route, oregon events, oregon ride, portland events, portland film festival, riding bikes in oregon, world's best bike movies. Bookmark the permalink.